Yonex has simplified their names and replaced the VCORE Spin Vortex (SV) series with just “VCORE”. This means the new Yonex VCORE 98 is both easy to remember and easy to play with. What else does it do well? 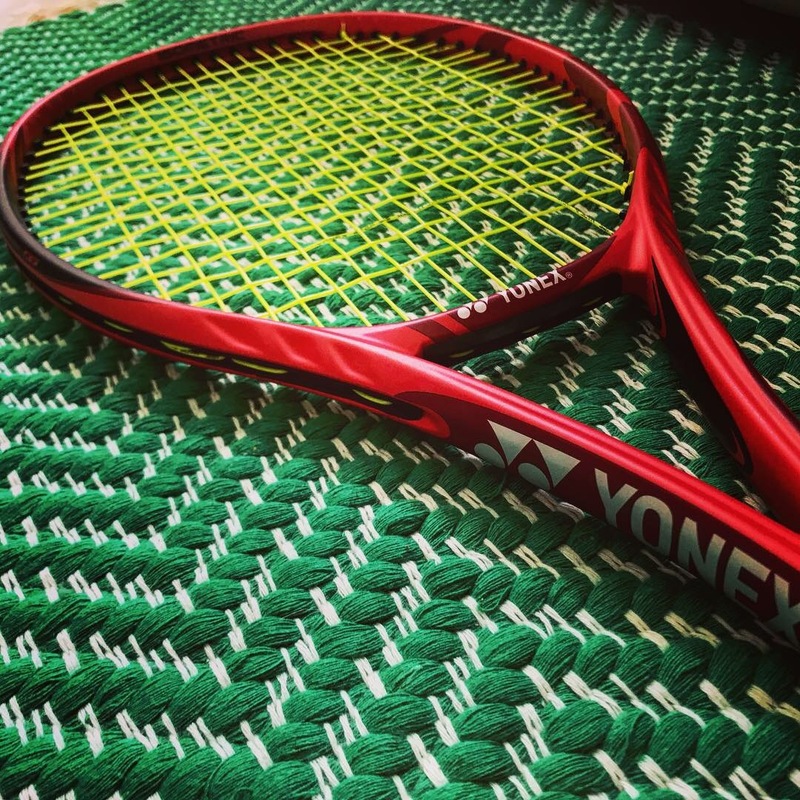 Read the Yonex VCORE 98 Racquet review and find out. The Yonex SV series had its fans. Players who prefer modern, crisp and spin-friendly racquets. Not much is different with this update. The Yonex VCORE 98 is a powerful, spin racquet with an improved comfort over the previous model. 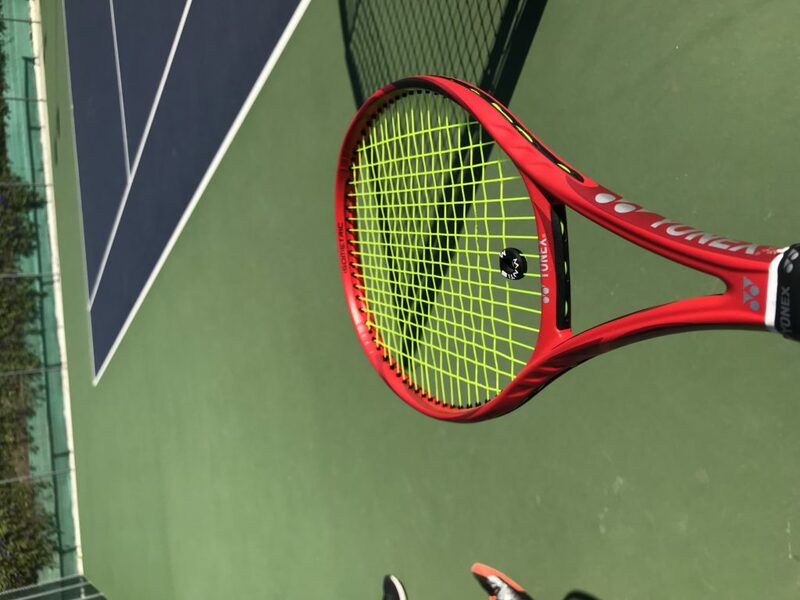 Is it a competitor to the Babolat Pure Strike 98, the Yonex DR 98, the Prince Beast 98, the Wilson Blade 98, the Angell K7 Red (click names to read my opinion) and other “mid plus plus” racquets? Yes, I think it is, but it is not outstanding. 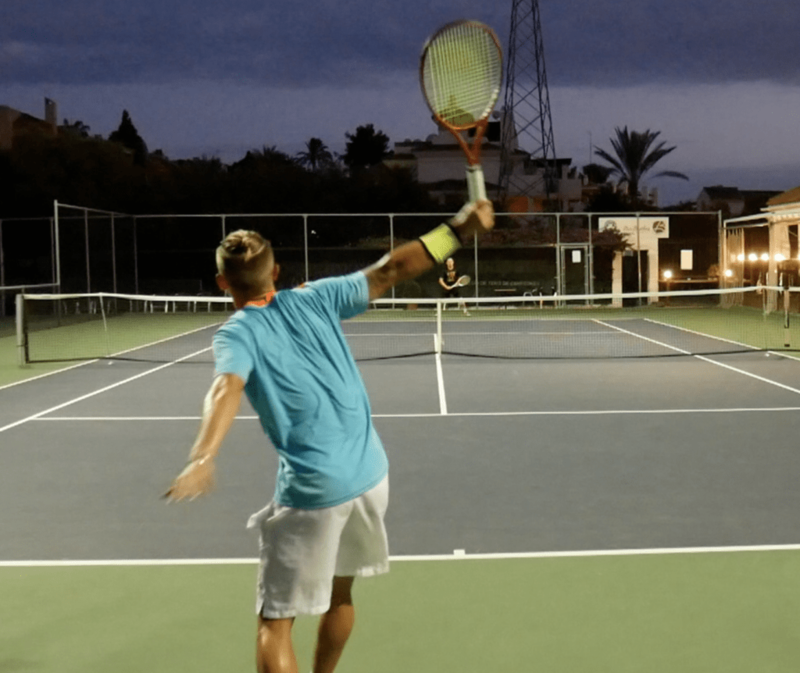 This Yonex VCORE 98 racquet review was not outstanding, but entertaining. It is a good racquet to play with. It gives you some extra power and spin over a Blade 98 and a DR 98, it is more arm-friendly than the Pure Strike 98, but I do prefer the feel of the Angell K7 Red and the Prince Beast 98 . The Angell because it is more flexible, arm-friendly and you really “feel” the ball with that racquet. The Beast 98 because it is arm-friendly and I get more control with its 16×20 string pattern than the rather open VCORE 98. Marketing jargon of course, but some technologies actually work the way they are intended to. To be honest I did not feel that this racquet swung faster compared to other racquets in its weight and spec class, but it might be true for others. I did feel that the sweet spot was generous (the classic Yonex Isometric head shape really seems to help here) and that the spin was somewhat better than the DR 98. I strung the Yonex VCORE 98 with Yonex Poly Tour Pro (yellow) 1.25 at 23 kg. At first I felt I should have aimed for a higher tension because the ball was flying on me, but once you dial it in, the tension felt fine. I have noticed arm pain after stringing crisper racquets with a stiff poly and think that lower tensions are usually the way to go unless you use a hybrid or a multifilament string. 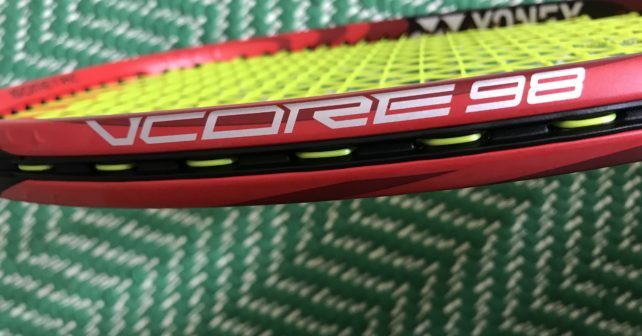 The ball shoots out of the string bed on the VCORE 98. I felt like the spin was a bit more sensational (sometimes too much) on the Angell K7 Red, but this is definitely a racquet for players who like a higher launch angle when they bash the ball. Net clearance comes easily, but the power needs to be reigned in at times. A more modern, western technique would be recommended to get the dip needed to successfully play with this racquet. If you want even more spin, you could try the Yonex Poly Tour Strike, which gives the ball more bite than the Yonex Poly Tour Pro, but the Poly Tour Pro is slightly softer in my opinion. I think other strings that would perform well in this racquet would be: Solinco Tour Bite , Solinco Hyper-G , Luxilon 4G , and HEAD Hawk Touch . 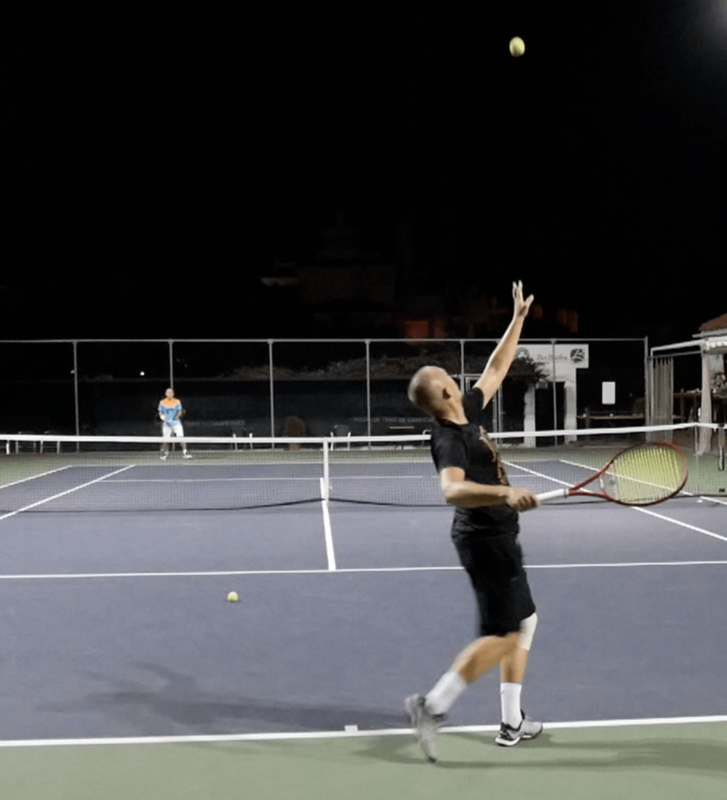 The racquet is powerful and flatter hitters might find the ball to sail on them. I struggled with this a bit at first, but dialled in shots a bit better after the first 4-5 hours. The racquet does pretty much what the marketing says it does, but I did not find that beautiful connection with the ball that I am always looking for. I think the Yonex DR 98, Pure Strike 98, Angell K7 Red and Prince Beast 98 are all slightly better in this regard. There are simply so many good 98 sq inch racquets, that it is hard for me to say exactly what player will play his or her best tennis with this one. If you like the DR 98 and want more power, sure. If you want a slightly more comfortable response than the Pure Strike, but still good power…sure. But personally I’d rather recommend the Beast 98 although it does swing a bit heavier. I also don’t understand why they launch a VCORE 98 and an EZONE 98 that play so similar. Okay, the VCORE 98 plays a bit faster, but for me that is more of a failure of the EZONE 98 than the success of the VCORE. There are just too many similar racquets on the market. Why would a player chose an EZONE 98 over a VCORE? Because he or she likes green more than red? I think the VCORE 98 is simply a better racquet than the EZONE 98, but not a better racquet than the DR 98. And this is just talking Yonex. Confusing for the customer? Yes! The VCORE 98 is a crisp, fast, spin-friendly racquet with decent control and comfort. I enjoyed playing with it, but I never felt that it was something I would take into a tournament. Perhaps it is partly because I play with more traditional control racquets these days, but I also never felt that I could trust this racquet a hundred percent. It is not only a control issue, it was more the feel on contact I did not enjoy so much. Obviously, I am not the core demographic here, but I do feel like the Beast 98 was more in my wheelhouse even though they offer similar specs. I also let two tennis coaches and friends of mine test this racquet and the response was similar. The feel on contact was not really there for them to be attracted to this racquet. One of them uses a Babolat Pure Drive and the other guy a PT57A imitation so they have different tastes in racquets. I don’t want to rain on the Yonex parade here. They create some excellent products and they are better at quality control than most of their competitors. The racquets pretty much always come only a few grams within the listed specs and this was the case also with the VCORE 98. However, even if I am sure there are plenty of top spin baseliners that will like this racquet, I find the VCORE Pro 97 (330) is definitely a racquet closer to my preferred specs and feel. And for the record I did try customizing it with lead tape to get the weight up more to what I usually gravitate towards. Last but not least, the design and paint job of this racquet is great. And next up for a test is the VCORE 95 ! A racquet I already believe I will like more. What do you think of the Yonex VCORE 98? Is it a racquet that excites you? Have you tried it? Please comment below. I love Yonex but you are correct when you say they make to many racquets around the same spec range. I have always liked the vcore series until the recent move to the DR98+. I tried the Vcore SV 98+ and liked it but it was more stiff and less maneuverable for the extended length I was looking for. The Vcore had unlimited power potential that I had to string up a few extra lbs to reign in so the ball didn’t fly but the smoothness and feel of the DR won me over. They seem to try to make a racquet for all player types in the same sizes but with so many different weight options in the same line seems to really over saturate/confuse the buyer, unless they are nerds like us. Great review and I want to test the 95 soon. I would like to know which racquet you prefer between the Vcore 98 and the Ezone 98. Which one would recommend? Which racquet does have more control: the Pure Strike 98 16×19 or the Vcore 98? And which one do you like better? Love your reviews! Your opinion would help me a lot! Just to understand (because I will buy one of this two racquets but I am unable to demo): you prefer the EZONE 98, right? So, why did say these phrases in the written review above? I generally like the Ezone 98 series more, the AI and DR are great racquets. The Ezone 98 update feels boardier and stiffer, sort of like a Pure Strike 98 (red/black) so from the latest Ezone 98 and the VCORE 98, I would go with the VCORE 98. But if you can find a DR 98, I prefer that racquet.